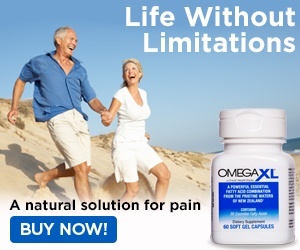 Next review Omega XL has alleviated most of my back and hip pain. May 21, 2017 Thank you for your review, unfortunately we were unable to reach you. We strive to deliver excellent customer service. As advised in our voicemail, please feel free to contact us at 1-800-607-0419 should you have any further concerns and one of our agents will be more than happy to assist you. Return was a night mare. It took 15 minutes trying to cancel. I was asked why.? Did you take it properly? Try a different dosage! How long have you given the product? Are you sure you haven't noticed a difference? Had to practically beg to cancel. Still being hounded with phone calls wanting me to answer same questions. Dissatisfied!!! Also, when prompted to press three to cancel, I had to listen to a looped promo concluding with an apology for the long hold time(almost 20 minutes) due to the products popularity. If the product is successful and popular, then why the long hold for the cancellation customer service? Be warned. Product or Service Mentioned: Omega Xl Customer Care. Review #1047662 is a subjective opinion of User1047662.